FEARLIGHT band is well-known since year of 2005. At first time it's followed doom metal as a leading line, but in search of own way they gradually comes to Folk Pagan metal with the same path of sound-quality. Taking for a model an experience of top-level Folk Pagan bands, FEARLIGHT has founded its own unique music style. It's been incarnating in the first album which releasing had been putting off for some time because of the musicians wanted their records had been produced with a maximal quality of sound and arrangements.Label GARDARIKA MUSIKK is presenting "Our Legacy" - the first full-length CD-release of this band. Melodic and remaining in once's memory pagan doom metal well expands with folk influences. Whistle and bagpipe are be constantly added to a sound palette, reconstructingan ancient time picture vividly. The beautiful woman's voice harmonizes with growl and clear man's voices. A lyric represents a poetic viewing for old times from the present day and a deep own feelings. The band not uses only the modern sound of pagan metal but some classic's elements and age-old russian songs. 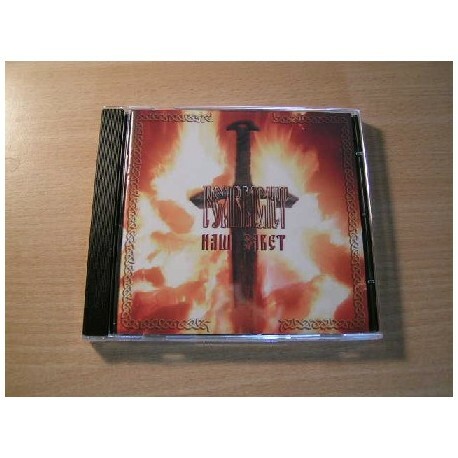 Rapid songs and splendid ballads alternate in disc.Album "Our Legacy" represents as a fine legend, as a sound weaving atmosphere with greatness of north landscapes, as a breath of morning fogs and never fading flame of pagan traditions.